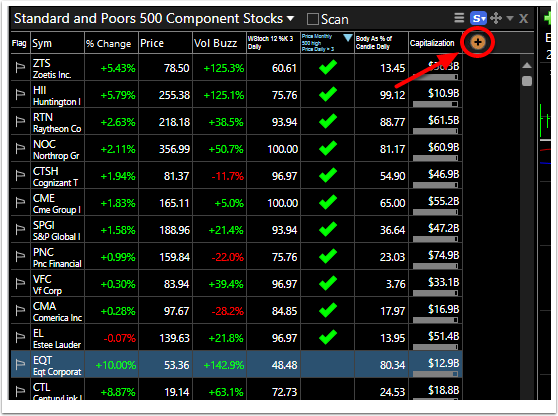 In TC2000 there are multiple ways to access your saved column sets and change your watchlist columns. Click one of the items below to see these steps. 2. Select Replace Column Set. 3. Select the column set you would like to add. 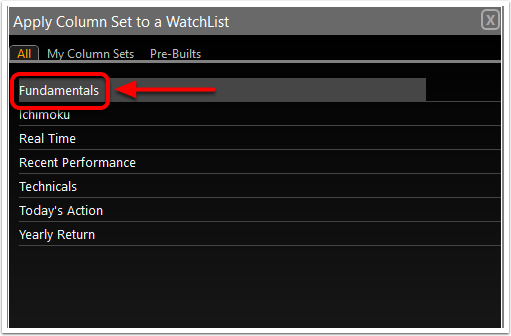 The selected Column Set will now be displayed in the Watchlist. 1. Left click on the Library button on the main toolbar. 2. Left click on Columns Sets. 3. 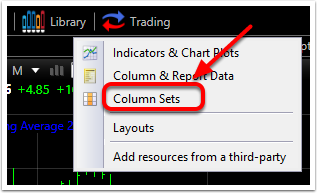 Left click on either a pre-built Column Set or one of the Columns Sets you saved to the library. 4. 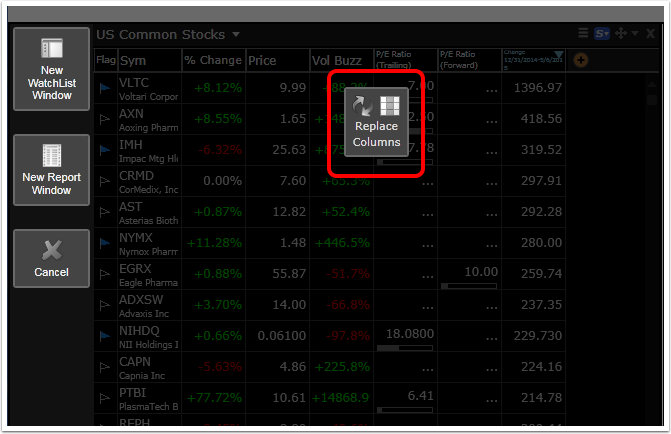 Left click "Replace Columns" in the watchlist window you would like to apply the Column Set to. 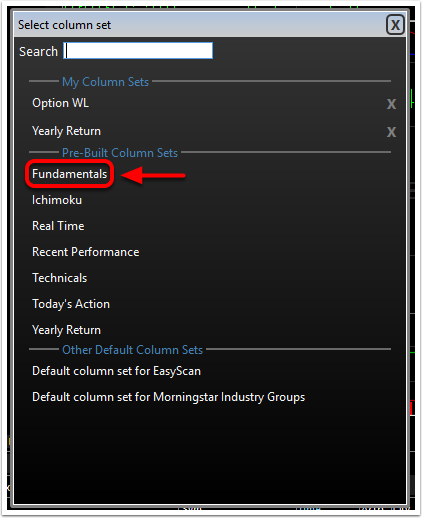 The selected Column Set will now be displayed.